My poster is about being kind to everyone, no matter what size or race they are. 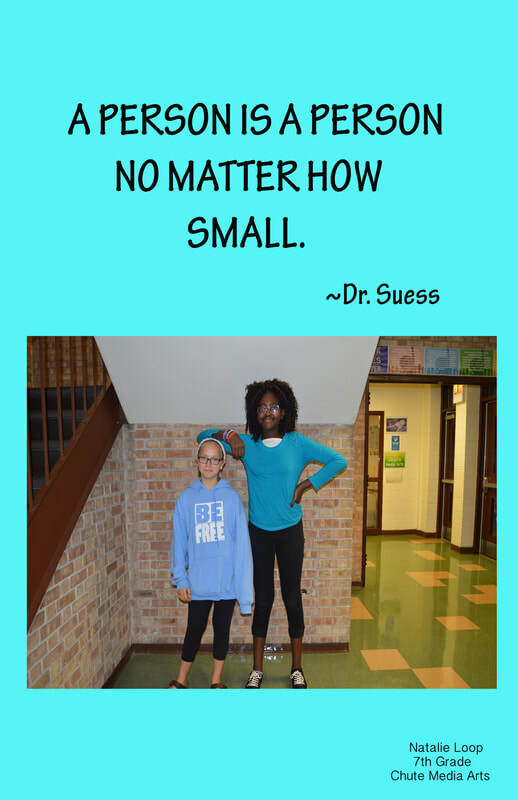 The picture matches my quote because it shows a tall person and a shorter being friends, and that is what the quote is about. All I did was drag and drop the picture into photoshop. I know I wanted a teal, turquoise background, and I thought black would stand out with the turquoise. My quote is important for Chute because this school is made up of all different kinds of people, and we all need to treat each other humanly, and with respect. 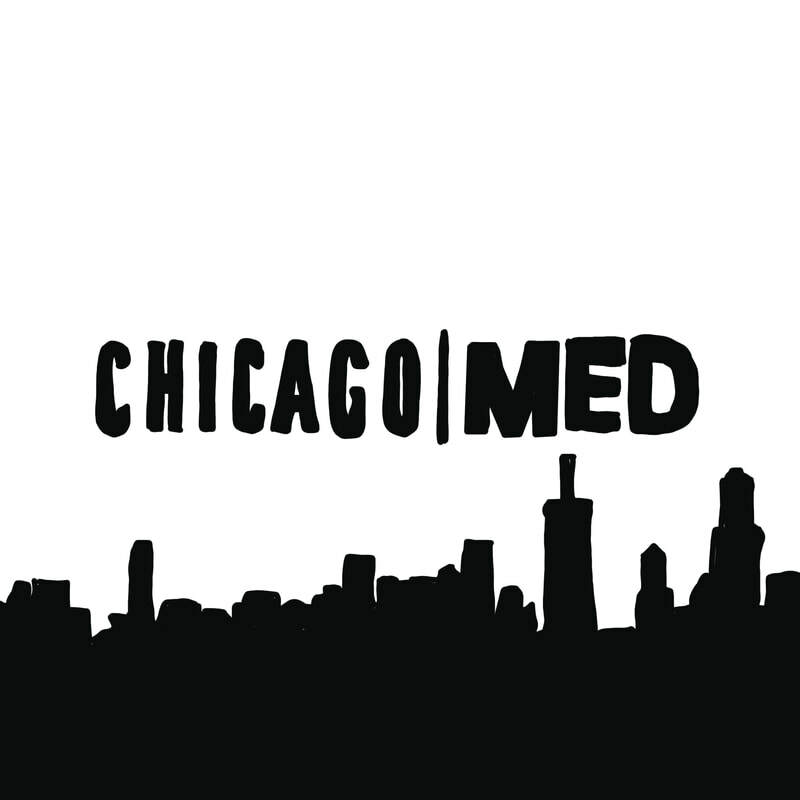 My design is a tracing of the Chicago Med logo. I chose this design because I was a guest star on one episode of it, and it was my first acting job ever. I chose the city part and the words to be negative, because if it was positive, the carving part would take way longer.